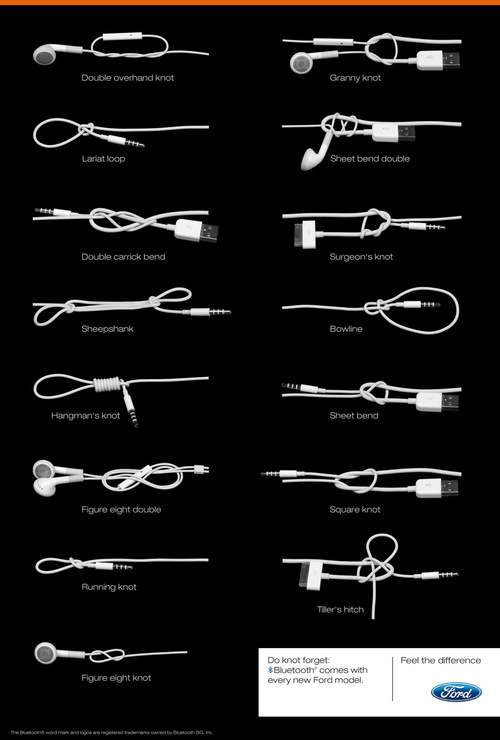 Hate the way your earphones and other cables get tangled when you leave them loose for 5 minutes? Sadly I’m not here to offer a solution, however I am loving the latest advertising campaign from Ford set to highlight the perks of using it’s bluetooth technology. Fords clever twist (pun intended) on a situation most people are familiar with makes for a really catchy advert, although I’m not entirely sure who uses earphones when driving in their car! « Snooping Boyfriend or Girlfriend? There’s an app for that!